When will be Nurses Who Kill next episode air date? Is Nurses Who Kill renewed or cancelled? Where to countdown Nurses Who Kill air dates? 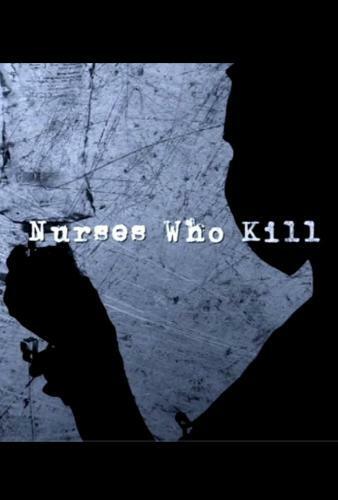 Is Nurses Who Kill worth watching? Real crime series featuring disturbing stories of nurses who have abused their positions of trust and kill the patients in their care. Vickie Dawn Jackson was described as sweet and 'gone to fat' by locals in her small Texas town. Her first husband ran out on her after a year, her second was a drinker who brought home his friends for booze and cards nights. At school she was hardly noticed and as her classmates grew it was they who ended up with the husband, two kids and picket fence picture-book house. Was that the reason Vickie, who always wanted to be a nurse 'like Florence Nightingale', began killing off the friends and relatives of those who she knew in Nocona, Texas? Or was it because she was bipolar, jealous, just plain mean or all of the above? Either way, she killed 10 times. Texas journalist Skip Hollandsworth spent time with Nurse Jackson at her Texas jail and reveals the truth about a remarkable, and evil, woman. Nursing home team leader Garry Davis, told his Facebook friends that ‘I hate old people' and days before two patients in his care were found dead in their beds, he predicted they would die. Those facts were enough to put him in the frame as a doctor became convinced that foul play was responsible for the deaths of these two patients. The patients, whilst suffering from dementia, were otherwise in good physical health. Davis argued that the text messages were ‘black humour'. But the judge did not believe him. He killed for the sake of it – and could not resist flaunting the power he had over the life and death of Gwen and Ryan. Davis, 27, began his sentence in 2016 and won't be due for a parole hearing until 2046. Elizabeth Wettlaufer, the cat-loving Canadian nurse kept a sinister body of work online: nearly two dozen, often creepy poems - including one where she professes to love the "smell" of old folks. Wettlaufer, 49, of Ontario, intentionally administered fatal doses of drugs to her victims, aged 75 to 96, between 2007 and 2014. After killing, she would post some of her dozens of verses on a poetry website. One gory poem entitled Inevitable is written from the perspective of a knife-wielding female killer. Donald Harvey escaped justice for 20 years as he murdered his patients in any way he could. In an exclusive interview, the man who brought him to justice details just how evil Nurse Harvey was. Harvey is notable for having used numerous methods to kill, including arsenic; cyanide; suffocation; miscellaneous poisons; morphine; turning off ventilators; administration of fluid tainted with hepatitis B and/or HIV (which resulted in a hepatitis infection, but no HIV infection, and illness rather than death); insertion of a coat hanger into a catheter, causing an abdominal puncture and subsequent peritonitis. Cyanide and arsenic were his favourite methods, with Harvey administering them via food, injection, or IV. The true extent of his crimes may never be known since so many were undetected for so long. He claims to have killed 87 patients, but official estimates suggest the figure is nearer 60. Nurses Who Kill next episode air date provides TVMaze for you. EpisoDate.com is your TV show guide to Countdown Nurses Who Kill Episode Air Dates and to stay in touch with Nurses Who Kill next episode Air Date and your others favorite TV Shows. Add the shows you like to a "Watchlist" and let the site take it from there.